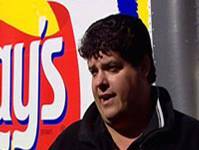 SPOKANE, Washington – In breaking confectionary news, Murray Johnston of Spokane, Washington, has sued snack giant Frito-Lay, manufacturer of the popular Lays potato chips, for $20 million. In court documents released today, Johnston filed the suit shortly after watching a Lays advertisement on television featuring washed-up, balding hockey geriatric Mark Messier. After Messier bet that Johnston couldn’t eat only one chip, the unemployed father of three decided to take the bet. Placing $20 million of imaginary money on the line, Johnston bought a bag of Lays Dill Pickle-flavoured potato chips, and proceeded to eat one chip – and only one. “Now those bastards better pay up,” he added. Officials at Frito-Lay declined the Pundit’s request for interview, but released a short statement early Friday morning dismissing the lawsuit as frivolous since the ad features Lays Original chips, and not the unpopular and far less addictive Dill Pickle variety. 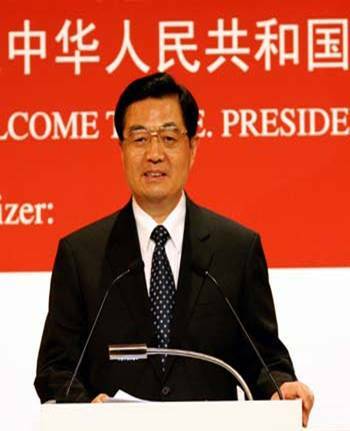 BEIJING – Faced with mounting pressure from the international community, China has announced a host of retaliatory measures directed at nations that have publicly criticized the Communist state’s approach to human rights, or have threatened to boycott the 2008 Summer Olympics in Beijing. Hu declared an immediate embargo on trade with the UK, stranding nearly 90 tons of prawn-flavoured chips in the port of Shanghai, and holding back nearly £2 billion of cheaply made, ill-fitting polyester knickers from the burgeoning UK unmentionables market. Germany got off lightly, as recent taxes aimed at preventing the offshore production of lederhosen and square-rimmed sunglasses have reduced Chinese influence in the German economy. However, Hu did announce that China would cease all imports of stolen German luxury sedans, and that effective immediately all Chinese cab drivers owning or driving a Mercedes, BMW or Volkswagon would be executed. France was also implicated in China’s sanctions. Taking a page out of America‘s Book of Ire, China will now no longer produce, for domestic use or export, fried potatoes. The re-named Harmony Fries will be marketed to Chinese consumers as “the only food that helps maintain order by reducing the will for independent thought,” according to the Xi Liyu, President of the Chengdu People’s Patriotic Food Processing and Pharmaceutical Unit. International observers were quick to condemn Beijing‘s heavy-handed tactics, threatening to take up the case with the World Trade Organization. However, efforts to submit written complaints against China to the WTO have coincidentally been stymied by a worldwide shortage of Chinese-manufactured laser printer toner cartridges. My Little Pony is not so little any more. 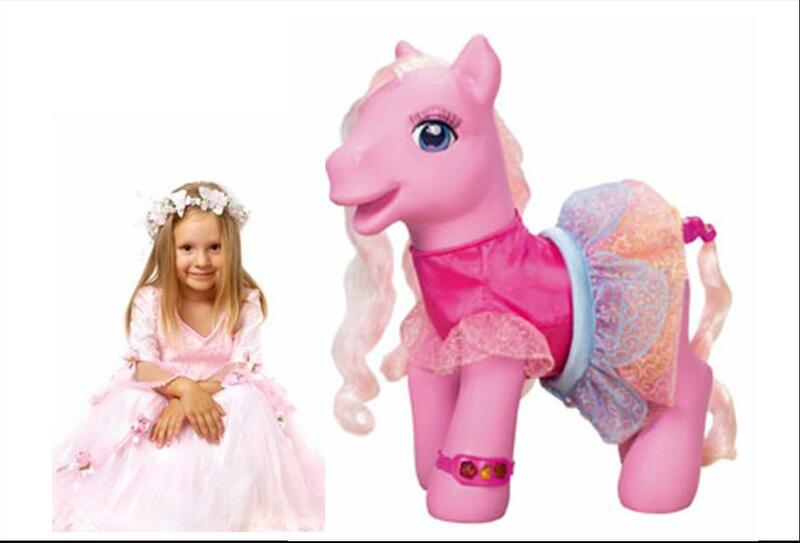 Toy manufacturer Hasbro has launched a new line of colourful toy ponies for young girls that has taken on a new dimension: life size. At 1.47 meters, or 58 inches, the pony towers over most little girls, allowing them to straddle the toy as if riding an actual pony. “For our prototype, we’ve chosen the very popular Sing and Dance Pinkie Pie Pony,” explains Donna Speart, Chief of Marketing at Hasbro. The pony’s eyes blink as you turn her head, and her skirt and tail swish along as she dances. Hasbro will officially launch the life-sized toy on Monday, April 21, with the unveiling of the first of several pony styles. The enormous ponies are made of 44 pounds of new plastic with a three-foot long pink mane. Accessories available for the pony include a plastic brush the size of a tennis racket, and a pink saddle. Building upon the popularity of human dolls that defecate into their diapers, and driven by a desire to make the animals more life-like, Hasbro has indicated that they are currently developing a life-size My Little Pony that shits as it walks. New market research has revealed a major spike in the consumption of Coca-Cola by North America’s polar bear population. The trend is the anticipated result of a seven-month-long ad campaign in which smiling, friendly polar bears were featured drinking and enjoying the beverage from old-fashioned bottles. The campaign was launched in the fall of 2007 in an effort to boost product sales among these fun-loving animals, who are also the world’s largest carnivores. 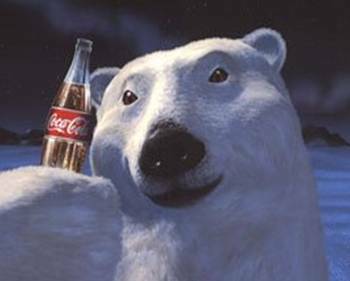 Coca-Cola’s first-quarter sales in 2008 rose more than 150 percent among polar bears, compared with the same period a year earlier. However, the soft drink maker expects earnings per share to rise only about 0.03 cents over the full year, owing to the small and shrinking population size of the rare species. “How were we supposed to know they were endangered when we started the campaign?” demanded Stephen Jones, Coca-Cola’s worldwide chief marketing officer. “No one bothered to mention it. We just said, hey, here’s a cute, cuddly animal that doesn’t drink a lot of coke. Profit margin woes aside, the introduction of this sugary, acidic beverage is undoubtedly bringing great joy to polar bears across the Arctic. Asked by a CBC reporter what his favourite thing about drinking Coca-Cola was, an 11-foot-tall, 800-pound male responded by standing on his hind legs, growling loudly, and attacking the journalist, and then devouring most of his mangled corpse in front of his indifferent pack. The reply seemed to be inconsistent with the portrayal of polar bears as huggy, playful characters on the Coca-Cola ads. Senior economists with the US Treasury, as part of a new dollar conversion scheme, have formally set an initial exchange rate, placing nearly 14 trillion of the M-labeled candy-coated chocolate snack pieces into secure reserves at Fort Stanton, outside of Washington, DC. In the event of a currency replacement, one US Dollar will yield 13.9 M&M candy pieces (approximately 0.5oz). The Senate legislation that established the committee states that in the event of a currency meltdown, M&Ms will become legal tender in the lower 48 states, while the Canadian dollar will be adopted in Alaska, and the coconut used for all public transactions in Hawaii and Puerto Rico. According to Treasury staff, M&M candies were among six alternative, or “hobo nickel,” currencies under consideration at the beginning of 2007. Though proceedings were closed to the public due to the sensitive nature of the deliberations, sources indicate that Smarties, TicTacs, Jelly Bellys, Hershey’s Kisses, and Wine Gums were also considered as potential currency-valuation options. “Concerns about counterfeiting, hygiene, and public health and safety left M&Ms at the top of the heap,” a source revealed under the condition of anonymity. “M&Ms were clearly the most attractive candy available, and as we all know, consumers won’t have to worry about the candies melting in their wallets, or hands,” the source said, referring to the candy’s well-known motto. Treasury officials were downplayed concerns raised by a number of Wall Street economists who fear that the candy-coated outside, combined with a delicious milk chocolate inside, will prove too attractive for hungry or morbidly obese consumers, resulting in new economic woes. “We’re already in a situation where liquidity of the credit markets is threatened, and to consider switching to a currency to something so irresistibly delicious instead of in the banks is, frankly, a recipe for deflation,” said James Morrisseault, an economist with CitiBank in New York. A new microchip has been generating major buzz for its ability to quite literally live up to its name, resulting in not only a breakthrough new method for containing digital information, but also a delightful play on words. 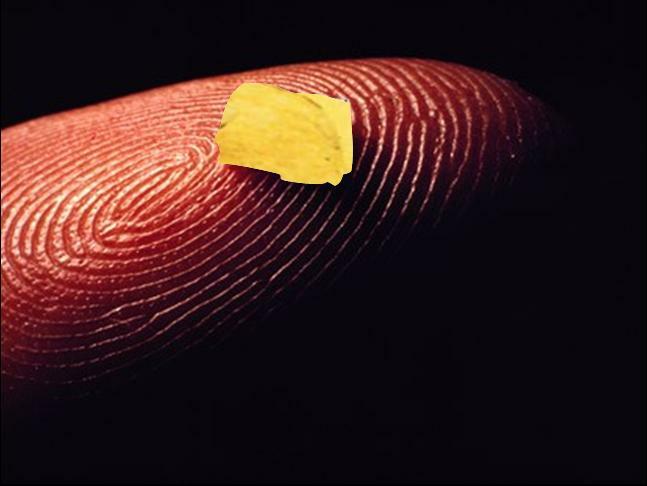 The tiny chip, manufactured by Frito Lay and infused with a sour-cream-and-onion scent, provides data storage using the latest encryption technology. With a storage capacity of up to 64 megabites, the microchip can be embedded into a variety of hard plastics and electronic devices. The lightweight, crunchy device is slated for introduction in electronic stores around the country by 2011.Researchers were astonished to discover just how much data one of these tiny chips could hold. The findings were published in a breakthrough article in the American Journal of Software Engineering, in an article entitled Advanced Data Encryption Routines using a Standard Potato Chip. “Our original idea was to incorporate the data encryption standard algorithm substituting the more typical small magnetic piece of plastic into a more affordable and delicious medium,” explains Jim Steinberg, Director of McMaster University’s Department of Computer Science and author of the article. “We never knew – but always suspected – that potato chips could be so versatile. This discovery allows microchips to finally truly live up to their name. The revolutionary technology comes amidst concerns from environmentalists about recycling and disposing of used computer software. As one feature highlighted in the ad campaign, the new encrypted potato chips are not only completely biodegradable, but they also make a light afternoon snack when programmers no longer need the information stored within. In anticipation of a surge in consumer demand once these microchips are introduced for public consumption, computer software manufacturers are now exploring a variety of flavours and textures (regular versus ruffled, for example) into future versions of the technology. hmmm… I wonder what the conversion from M&M to coconut is, and those both, in turn, fluctuate according to demand for Bounty bars?